Are you looking for a perfect theme for Single Products and brilliant theme for Perfect Single Property & Real Estate but the price is so expensive. So let’s WPOpal help you with the best promotion ever. 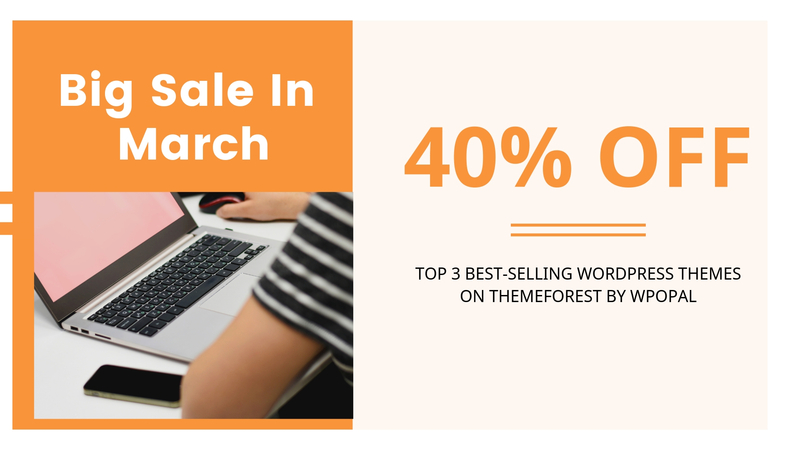 We are happy to intro you Top 3 Best-Selling WordPress Themes on Themeforest Strollik, Skyview & MaisonCo with Big Discount up to 40% for your budget and site development. The Strollik template absolutely fits with stores running business on single products such as Strollik, SLim Wallet, Watch, Eskateboard, Ebag, Dronik, Smartglasses nd so on. MaisonCo & Skyview will be completely suitable with trade of luxurious apartments, modern house, high building, office, rental residences, towns, penthouses, beautiful cities…. The themes including tons of highlight features to advertise your items to customers in a short way. Strollik is a fully responsive Single Product WordPress Theme built on WooCommerce. The template is completely suitable with single product shops such as Strollik, SLim Wallet, Watch, Eskateboard, Ebag, Dronik, Smartglasses, eShaver, Coffee Maker, etc. Following with 24+ brilliant & modern homepage layouts combined with tons of perfect transition effects, Strollik will meet your demands in building a unique & fabulous site. Strollik will not waste your time & effort in setting up the beautiful demos with One-Click Demo Import. Furthemore, it allows store owner to customize directly the blocks of content on their site by Bootstrap Framework & Elementor – Best Drag & Drop Builder to construct your store without codes. 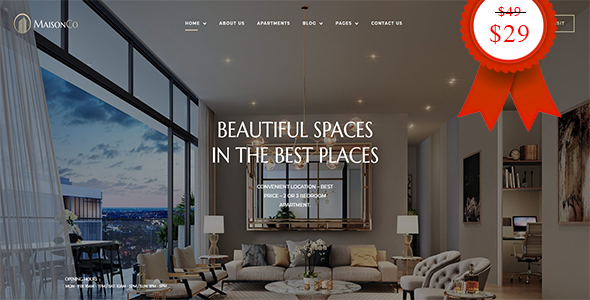 You need a modern WordPress theme for selling luxurious apartments, high building, modern house, office, villa, rental residences, towns, penthouses, beautiful cities, etc. SkyView will be your perfect choice for trade of these items. Skyview is Single Property WordPress Theme based on WooCommerce to help you sell property products effectively. Coming with a number of outstanding features and modern design style one page will surely satisfy your demands, even fastidious customers. There are 6 excellent homepages available in SkyView enclosing with the 1-Click Installation will help import great layouts in no time. Also, The template is built with a number of fantastic functions such as Opal Single Property, iPanorama 360 Lite plugin, Slider Revolution, King Composer Page Builder. Worries of smooth site management will be solved that Skyview Complex provides you the own intuitive theme control panel including various options to control the site. MaisonCo is a dedicated and responsive WordPress Theme for Single Property & Real Estate Agency and selling or renting your House, Apartment, Villa, Farm House, and Raw House. The theme gathers everything you need to build a Perfect Rental Apartments & Buildings Complex Website. Over 3+ alternative homepage layouts will boost you to install with one-click Demo Import in time-saving. Compatible with many plugins to help you build professional Single Property Site. With Elementor, Revolution Slider – Drag and Drop Builder will be powerful tool to arrange and control your rental business site smoothly and then . The appearance of details page and tour page will be magical to sell & advertise single property and apartment complex presentations brokerage agent services effectively.